We take pride in sourcing the finest grapes from around California, then bringing them to San Diego's hip North Park neighborhood to make wine on site. Don't miss out on the best deal in wine at North Park's First and only craft urban winery. ​Négociant Winery is North Park's coolest event venue. The customizeable space is perfect for birthday parties, bridal and baby showers, corporate events or charity mixers. [nay-ghos-see-an, n. Fr.] - A wine merchant who sources the perfect grapes and unfinished wines from small vineyards. 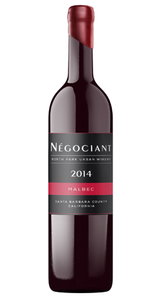 Through winemaking, blending and aging the négociant creates beautiful craft wines. Négociant Urban Winery is located in the heart of North Park’s Boulevard District at the intersection of Texas Street and El Cajon Boulevard. Négociant joins the rapid influx of businesses and residential developments bursting into the “Boulevard” neighborhood. This revitalization is anchored by improvements to the nearby Lafayette Hotel as well as multiple new major condo developments including one directly south of the winery! The neighborhood is becoming a walking community to fit the life styles of those living in the area. Art festivals, boutique shops, coffee shops, street fairs, and area activities lend to strolling and dropping into Négociant for a pleasant afternoon of wine tasting. Deep color, big fruit, long finish - delicious! This is a pod that can be edited in the Content Editor. Learn more here.